How does the Minibrew Affiliate Program work? You want to turn your social networks, your blog, and your contact lists into money easily? Then join the MiniBrew Affiliate Program today. Brewing Communities are growing all over the world and everybody is looking for the perfect solution. Profit by being the one to share MiniBrew with them. Earn 5% of every new Purchase of a high-pricing premium product: 999.- €. We don't put a cap on earnings. With 30 day cookie length we ensure that any returning visitors that place orders within this period will lead to your compensation - earn the credit your deserve! Accumulate more referrals with the highly-accurate tracking software we've implemented. High quality advertising materials in german and english. German and English Support. It's free to join our partner program and only takes a couple of minutes to sign up and start promoting. belboon is one of the three leading affiliate marketing networks in the German market. There are 1800 programs on the network as well as publishers from 50 counties. belboon generates over one and a half million transactions every month. 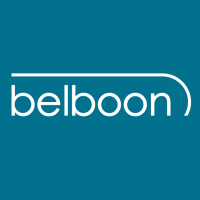 belboon is particularly trusted by small and medium sized businesses and longtail advertisers who come to the affiliate network for their internationally experienced account management and market leading technology.